This topic contains 2 replies, has 3 voices, and was last updated by jp1 3 years, 6 months ago. I am certainly not new to property, I own 5 in the UK and have done for many years. However Spain is a new venture to me. I am looking to buy on the Costa del sol and have read with interest a lot of the posts on here about inflated “for sale” prices on Spanish websites. Looking at some of the posts, properties which people report as selling for euro40,000 are advertised at euro 80,000 so it seems that prices advertised on the web can be taken with a pinch of salt. I have seen a development in Urb Riviera Sol near Calahonda called “Hollywood Hills”. Clearly from my initial research a lot seems bank owned and in line with posts on here I can see wildly varying prices on different websites just from initial investigation. 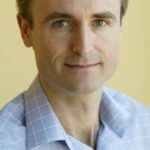 So, as someone who normally uses nethouseprice.com for sales data in the UK and yield to assess values it seems that much of the information is either unavailable or cant be trusted in respect of Spain. 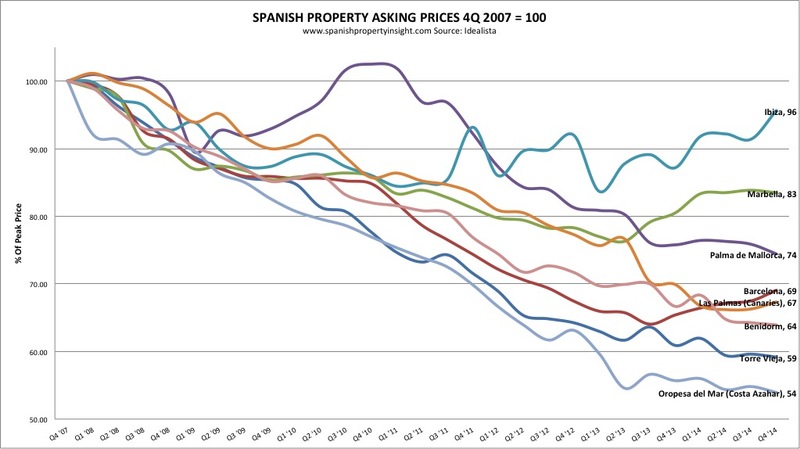 I’m sad to say that it is difficult to find out market prices in Spain. The only ones who really know transaction prices are the sales organisations like estate agents and the bank servicers. If you can find a good agent you trust, that’s the best way to go. Some would argue you can’t trust any of them, but that is, of course, untrue. How realistic are asking prices? It’s a very good question, and one that I need to tackle in an article. For many years average asking prices were unrealistic, but now vendor expectations have come down so far in some areas (see graph below) they are much closer to market prices, and even starting to look cheap in some places. It all depends on the property and the area. For example, last year in Barcelona asking prices were typically around 10pc above transaction prices (for properties that were correctly priced). Now the gap between asking prices and closing prices is more like 5pc, or even less. In the Costa del Sol, as an average, I guess the gap is around 10pc today, but I could be wrong. I’ll ask around and post back if I found out any different. You are either buying for investment purposes in which case you can look around at the 1000’s of properties for sale and chose the least expensive. In the UK the market is a properly functioning one. You can look at a property advertised on a street and know how much the others in that street are roughly worth, the UK market is uniform. No so in Spain.